Each of the 10 parishes (counties) within the Greater New Orleans region include Jefferson, Orleans, Plaquemines, St. Bernard, St. Charles, St. James, St. John the Baptist, St. Tammany, Tangipahoa, and Washington parishes. Each parish is unique – each enjoying its own character, attractions, and community lifestyle and visitors from around the globe come to experience the enchanting music, art, food, and local flavor that our region is known for! Not only is Greater New Orleans back, it's better than ever! The region has emerged post-recession and post-Hurricane Katrina as one of the strongest economies in the nation. Federal, state, and private investment has contributed to new construction and development across the ten-parish region, creating jobs and spurring economic growth. New Orleans is a place where you can do more for less! The low cost of living is coupled with a favorable tax structure that has attracted both businesses and individuals from around the country. Lodging, food and transportation costs in South Louisiana are some of the most competitive in the country. This unbeatable combination is making Greater New Orleans an ideal location for families, entrepreneurs, retirees, and young professionals seeking a rich, exciting lifestyle without breaking the bank. With easy access to the Gulf of Mexico, Louisiana gas prices are among the lowest in the nation. Paired with low traffic in a compact city, residents spend significantly less money at the gas pump. There's plenty to do on a smaller budget in Greater New Orleans. In fact, there are dozens of activities to do on no budget at all! Parades, including those during Mardi Gras, St. Patrick's Day and New Year's are all free. Outdoor festivals, including French Quarter Festival, one of the largest free music festivals in the South, offer free entry. City Park, Audubon Park, and the St. Tammany Trace bike trail are all free and open to the public. The New Orleans Museum of Art offers free admission every Wednesday and the National WWII Museum gives free swing dancing lessons on Thursdays. Here, you can leave your wallet at home and still have a great time. Louisiana is also known as a Sportsman's Paradise. The state boasts millions of square miles of open wilderness, conveniently located near city centers. Rivers, lakes, parks and recreation spaces are perfect for enjoying the outdoors. With mild winters and sunny, warm summers, Greater New Orleans is the perfect location to spend time outside and enjoy nature. For those accustomed to the aggravation of ten-lane freeways and hours spent on the road, Greater New Orleans is a dream come true. With low commute times, fast moving freeways and a network of public transportation, travelers can spend more time with family and friends. Includes Cities/Towns: Akers, Ama, Amite, Angie, Arabi, Barataria, Belle Chasse, Bogalusa, Boothville, Boutte, Braithwaite, Buras, Chalmette, Convent, Des Allemands, Destrehan, Edgard, Empire, Fluker, Franklinton, Garyville, Gramercy, Grand Isle, Gretna, Hahnville, Hammond, Harvey, Hester, Husser, Independence, Kenner, Kentwood, La Place, Lafitte, Loranger, Luling, Lutcher, Marrero, Meraux, Metairie, Mount Airy, Mount Hermon, Natalbany, New Orleans, New Sarpy, Norco, Paradis, Paulina, Pilottown, Pointe A La Hache, Ponchatoula, Port Sulphur, Reserve, Robert, Roseland, Saint Bernard, Saint James, Saint Rose, Tangipahoa, Tickfaw, Uncle Sam, Vacherie, Varnado, Venice, Violet, Westwego. Within a few short days of your arrival in New Orleans, one thing will become abundantly clear: we love our Saints! Cheers of "Who Dat!" and "Who Dat Say Dey Gonna Beat Dem Saints!" can be heard all year long. We're also home to the NBA's New Orleans Pelicans, who play just across the street from the Super Dome in the New Orleans Arena. The New Orleans Zephyrs, a Miami Marlins Minor League Affiliate, play locally in the suburban community of Metairie, offering a night of inexpensive fun for all ages. Multiple sports leagues across the region make it easy to get in on the action. Coconut Beach, a sand volleyball complex in Kenner, is a popular spot for players at any skill level. Rec centers and courts across the city provide both youth and adults opportunities to play basketball, tennis, and soccer. 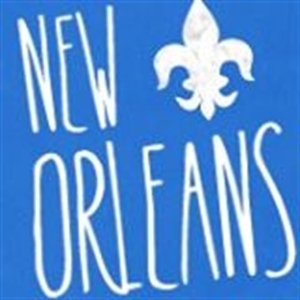 Play NOLA is another resource for those in search of a casual or competitive league in which to stay active and socialize. Louisiana is known as a Sportsman's Paradise. The state boasts millions of square miles of open wilderness, conveniently located near city centers. Rivers, lakes, parks and recreation spaces are perfect for enjoying the outdoors. With mild winters and sunny, warm summers, Greater New Orleans is the perfect location to spend time outside and enjoy nature. In addition to Lake Pontchartrain, Greater New Orleans lies amidst a network of bayous and waterways. The New Orleans Yacht Club is among the oldest boating groups in the country, and is one of a number of regional yacht clubs offering slips and boat rentals. The parishes of St. Bernard, Plaquemines and Jefferson all offer unparalleled access to both freshwater fishing, and deep sea fishing in the Gulf of Mexico. Casual canoeing and kayaking is also popular throughout rural areas, and in the city along Bayou St. John in Mid City. New Orleans prides itself on being a bike-friendly city. Whether commuting to work or riding for leisure, Greater New Orleans is ideal for those who love to cycle. As bike-usage climbs, the city continues to add additional bike lanes and paths throughout the Crescent City. The St. Tammany Trace on the Northshore spans 28 miles and is an excellent trail for cycling and other recreational activities. Greater New Orleans is home to an array of outstanding golf courses. Both private and public courses feature lush greens, challenging fairways, and world-class course design. The golf course at English Turn Golf & Country Club was designed by legendary golfer Jack Nicklaus, while Lakewood Golf Club hosted the 2012 U.S. Open Qualifier. On the Northshore, country clubs including Beau Chene Country Club and Money Hill Country Club provide eighteen-hole courses in quiet, residential settings. Area stables offer both lessons and trail rides through local parks. Cascade Stables at Audubon Park and Equest Farm at City Park are conveniently located for urban equestrians. Amongst the region's rural communities, multiple stables and miles of open trails are perfect for serene riding experiences. The Louisiana bayous and forests are home to diverse ecosystems in the country. You'll find alligator, deer, turkey, quail, rabbit and squirrel all within the region. Venice, Louisiana, located in Plaquemines Parish, was voted one of the top five best hunting locations in the United States. Easy access to water makes fishing one of the most popular pastimes of regional residents. Redfish, speckled trout, flounder and bass thrive in area waterways. Whether spending a relaxing afternoon on the lake, or booking a chartered trip to the Gulf of Mexico, fisherman are sure to be pleased by the many area offerings. Southeastern Louisiana sits on mostly flat land, making it the perfect place to take an evening jog along the levee, or run laps at a local track. The Crescent City Classic 10K, Jazz Half Marathon, Iron Man and Race for the Cure are just a few examples of the many regional races that attract runners from around the country. With more than 22 state parks in Louisiana, and six within an hour of the city center, Greater New Orleans offers a wide array of hiking paths and nature trails. Snakes, frogs, alligators, birds and even the rare Louisiana black bear are all creatures that can be spotted while hiking local trails. Jean Lafitte State Park, Bayou Savage National Wildlife Refuge, and Fontainebleau State Park all have exceptional networks of wilderness trails. Warm weather makes the region's pools some of the most popular spots for relaxation on a summer day. Residents can join one of the many local country clubs or dive in at a public community pool. Many hotels in the French Quarter or CBD also open their doors to locals looking for a refreshing dip. But if only surf and sand will do, Greater New Orleans is just a short drive to some of the region's most beautiful Gulf Coast beaches including Gulf Shores, Pensacola and Destin. Cruise lines dock right downtown, offering easy access to tropical Caribbean vacations. Greater New Orleans is a great place to shop and is frequently ranked among the best shopping destinations in the country. With a mix of traditional malls, independently owned boutiques and funky markets, it's a great city for those in search of a little retail therapy. The Shops at Canal Place, located at the edge of the French Quarter, is the region's high-end shopping destination, featuring Saks Fifth Avenue, Coach and a brand-new Tiffany's. Lakeside Mall in Metairie offers national brands such as Macy's, GAP, Apple and Sephora. Familiar brands including Target and Barnes and Noble are also found throughout the region. Regional residents enjoy boutique shopping, especially in the city center along Magazine Street, which stretches from the Central Business District to Audubon Park. Miles of independent shops feature everything from name brands such as Free People to eclectic flea market finds. Downtown corridors in Slidell, Covington, Mandeville and Hammond are also premier destinations for browsing small stores. Royal Street in the French Quarter is one of the world's most highly regarded antiquing destinations. Beautiful furniture, clothing and artwork can be found in the dozens of shops which line the sidewalk. Small antique shops can be found in nearly every city in Greater New Orleans, making the region a fantastic location for searching for historic finds. Two outlet malls are located within a 90 minute drive from the city, offering low priced designer goods from nationally recognized brands such as Nike and Ann Taylor. These include the Tanger Outlets in Gonzales, LA and Gulfport Premier Outlets in coastal Mississippi. The Riverwalk Marketplace, currently under construction in the Central Business District, will become the nation's first downtown outlet center, offering upscale fashion and local culinary flavors. There are a wide array of options for grocery shopping. National brands such as Walmart, Whole Foods, and Costco can all be found locally. Regional favorites such as Rouse's, Winn Dixie, and Robert's all offer national products with a Louisiana twist at affordable prices. Local stores such as Dorignac's, Canseco's, and Langenstein's all provide a friendly, neighborhood feel while providing high quality items. Approaching its tricentennial in 2018, New Orleans is one of the world's most captivating cities. Visitors from around the globe come to experience the enchanting music, art, food, and local flavor. For residents, the region offers an unbeatable combination of Southern hospitality and historic charm that is always fascinating and never boring. Spanish, French, Greek Revival, even Craftsman - Greater New Orleans has it all. Recognizable around the world, the historic French Quarter is largely Spanish-influenced with stucco buildings and beautiful wrought-iron balconies. The nearby Marigny/Bywater neighborhood features shotgun homes and Creole cottages, many restored to their original Caribbean-inspired colors. Upriver you'll find Greek Revival and Victorian homes dating from the 1800's. Even modern architecture now peppers the regional landscape with buildings such as the Louisiana Cancer Research Center and New Orleans BioInnovation Center. In suburban and rural communities throughout the region, you'll find an even greater variety. Residential areas near the city center offer inviting homes built in the twentieth century. As you move further from downtown, you'll find a charming mix of both old and new architectural styles to suit every taste. Acres of available land make the region an exceptional place to build your dream home. Greater New Orleans is home to some of the South's most beautiful plantations on sprawling estates. Guided tours offer opportunities for architecture buffs to admire the craftsmanship and history of plantation homes such as Oak Alley and the Edgar Degas House. You'll find galleries galore in this artistically-inclined region. Julia Street, located in the Warehouse District of New Orleans, is quickly becoming a regional destination for top quality art. It is the setting for the annual Whitney White Linen Night when thousands of locals come out to enjoy local art and live music each August dressed in white linen. Royal Street in the French Quarter is also home to dozens of galleries, including the late George Rodrigue's art studio, a Louisiana native and creator of the famous blue dog photos. Outdoor markets in Jackson Square and on Frenchmen Street provide a unique venue for up-and-coming artists to showcase their talents. Art fairs occur all year long in cities throughout the region. Downtown Covington, Hammond, Slidell, and Abita Springs are all home to galleries, making access to outstanding art convenient no matter what part of the region you call home. Although Greater New Orleans locals enjoy outdoor festivals and unconventional crafts, there are still plenty of opportunities to enjoy an evening of culture. The New Orleans Opera has operated for over fifty years and opera's roots in the region can be traced back to the 1790's. Today, its season includes both avant-garde and traditional offerings. One of the Gulf South's premier dance-centric organizations, The New Orleans Ballet hosts performances and workshops throughout the season while The Louisiana Philharmonic Orchestra features local musicians and hosts international acts. Local universities support a robust fine arts community providing numerous occasions to satisfy even the most discerning palette. Saveur Magazine recently voted New Orleans the best food city in the country. We have to agree. Home to renowned chefs including Emeril Lagasse, John Besh, Susan Spicer, and Paul Prudhomme, Greater New Orleans is home to some of the region's most celebrated restaurants featuring French, Cajun, and Creole cuisine. You'll also find a healthy mix of mid-priced and affordable eats, in both classic and experimental genres. Local favorites such as Dooky Chase in Treme offer some of the most mouth-watering soul food in the country. Greater New Orleans' sizable Vietnamese community means your cravings for pho and banh mi will never go unsatisfied. New Orleans East restaurant Duong Phong attracts diners from around the region. LaPlace is known as the Andouille Capital of the World, which is celebrated every fall with the Andouille Sausage Festival. Burgers, Italian, tapas, tacos, and barbeque all live side-by-side with red beans and rice, po-boys, and fried chicken. The New Orleans food community has even gone mobile, with a burgeoning food truck scene growing throughout the region. One thing is for sure - you'll never go hungry! You name it, we've got a festival for it. Large music festivals including the New Orleans Jazz & Heritage Festival (held in April/May), Gretna Heritage Festival (held in October), and Essence Music Festival (held in July) attract music lovers from around the globe. We celebrate Shakespeare in summer, Oak Street Po-Boy Festival in November, the New Orleans Oyster Festival in June, and the Wooden Boat Festival in May. You'll find opportunities for food, live entertainment, and socializing all year round. More than one hundred regional festivals will give you a fun glimpse into the soul and culture of Southeast Louisiana. And the best part-most of them are free! With its roots in Catholic culture, "Mardi Gras" is French for Fat Tuesday and serves as a celebration before Ash Wednesday when Lent begins. Today, Mardi Gras season spans roughly two weeks and is one of the most celebrated traditions in Greater New Orleans. Music-filled parades roll through the streets tossing beads, toys, and colorful novelties to joyous crowds. The riders, known as krewes, often spend months planning and preparing their floats and costumes. Super-krewes such as Endymion and Bacchus provide a bit of Hollywood glamour with celebrity kings and queens, marching bands, and massive floats. These parades often span several miles and families often stake out prime viewing areas hours in advance. Communities across the region celebrate with parades in the two weeks leading up to Mardi Gras Day, including Family Gras in Metairie and the Krewe of Tchefuncte, a boat parade in Madisonville. They're an excuse for adults and children alike to don elaborate costumes and clamor for the best carnival throws. Parades culminate in the region-wide celebration of Fat Tuesday. With the region's rich art history, culture buffs won't have to look far to get their museum fix. The National WWII Museum is America's official WWII museum, housing planes, tanks, original documents, and archival footage detailing American military involvement in WWII. The New Orleans Museum of Art (NOMA) houses the city's premier fine art collection with works by internationally renowned artists including Picasso, Renoir, and Monet. Smaller museums offer rich and focused cultural opportunities and make great day trips to surrounding cities. Considered by most to be the birthplace of jazz, New Orleans has a musical culture unlike any other city in America. The legacy of Louis Armstrong, Louis Prima, and Fats Domino lives on with a thriving jazz, blues, and brass scene. World-class music can be found at bars, restaurants, music venues, and on city corners throughout Greater New Orleans. Large national acts frequently sell out shows at the New Orleans Arena. Bourbon Street offers party music for the young and young at heart, while those with more alternative tastes can check out venues like the House of Blues and One Eyed Jack's. Punk, heavy metal, and hard rock shows can often be found in the Marigny along the St. Claude Arts Corridor, while jazz and brass bands thrive on Frenchmen Street. Ruby's Roadhouse in Mandeville is one of the Northshore's oldest blues venues a popular regional haunt for those looking to get off the beaten path for great live entertainment. Theater is alive and well in New Orleans. The region boasts multiple stages from the modern Mahalia Jackson to the recently renovated Saenger Theatre. Local plays and musicals run throughout the year. Touring troupes, including the acclaimed Broadway of the South, frequently bring Broadway-style shows to New Orleans. Smaller neighborhood venues offer intimate and avant-garde performances. Children's Theaters give budding thespians a nurturing place to learn their craft. In St. Tammany Parish, the North Star Theater and Little Slidell Theater stage both amateur and professional productions at their state-of-the-art facilities. The Columbia Theatre for the Performing Arts presents a mix of theatrical, concert, and dance events year-round in Hammond. The Louis Armstrong International Airport (MSY), located in Kenner and 14 miles from the CBD, is the largest airport in Louisiana. Multiple airlines offer non-stop service throughout the United States, Canada and Mexico. Over 400,000 airline passengers are served monthly. The airport is slated for an 826 million renovation before 2018 which will include a brand new terminal and access roads. Lakefront Airport (NEW), used primarily by businesses and private pilots, is located only four miles from the Central Business District. It's a popular spot for training and recreational flying. Southern Airways Express also operates select flights to airports throughout the Gulf South. Baton Rouge Airport (BTR) is also a convenient option for residents of some regional parishes, and offers direct flights throughout the region. The airport is located 87 miles from the New Orleans CBD. New Orleans sits astride Interstate 10, which runs from Santa Monica, California to Jacksonville, Florida. I-10 is the main thoroughfare used for commuters entering the city from Metairie and Kenner. For those looking to bypass downtown traffic, I-610 provides a convenient detour from Metairie to New Orleans East. The Lake Pontchartrain Causeway is the world's longest bridge over water. It spans 23.83 miles, connecting downtown Metairie to Mandeville and other Northshore communities. Commuters from the Northshore's eastern communities, such as Slidell, will use the I-10 Twin Span Bridge to enter the city, which crosses the narrow mouth of Lake Pontchartrain. West Bank residents use one of four bridges to cross the Mississippi River, the primary one being the Crescent City Connection, which connects the Garden District and Algiers Point. New Orleans was once a city criss-crossed by streetcars, and city officials have championed the resurrection and expansion of this classic New Orleans icon. Currently four street car lines provide convenient access throughout the city. The St. Charles Streetcar line offers beautiful views of historic mansions and oak-lined streets as it winds from the Riverbend to the French Quarter. Bus service is also found throughout the region. However, most residents use cars for their daily activities. With its flat, grid-like streets, New Orleans is an ideal city for biking. According to the Greater New Orleans Regional Planning Commission, the city boasts more than 58 miles of bike lanes, with ten more planned to be ready by Spring 2015. Regionally, there are more than 300 miles of bike paths, trails and dedicated lanes. New Orleans has also been named a Bronze Bicycle Friendly Community by the League of American Bicyclists. A growing network of hospitals, trauma centers and clinics serve the Greater New Orleans population. With two medical schools, the number of healthcare professionals continues to climb. Furthermore, the development of the bioscience sector in Greater New Orleans is a promising indicator that the region is becoming a top healthcare destination. The BioDistrict, which will span the Central Business District and Mid City areas of New Orleans, is expected to have an economic impact of 3.3 billion and create 34,000 new jobs over 8 to 10 years. The BioDistrict will include the Veterans Administration Hospital, the new University Medical Center, the Louisiana Cancer Research Center, and the New Orleans BioInnovation Center. A 247-bed not-for-profit medical center, Children's Hospital is located Uptown and offers advanced, pediatric healthcare. With more than 40 specialties and 400 physicians, it is Louisiana's only full-service hospital exclusively for children. In 2012, Children's Hospital saw more than 200,000 patients from almost every parish in Louisiana, 37 states, and five foreign countries. Located in Metairie, East Jefferson General Hospital is the region's MD Anderson affiliate, with an outstanding oncology program. With over 650 physicians, and more than 3,000 team members, it is regionally recognized for pulmonary rehab, radiology, and diabetes management. It is a three time recipient of the American Heart Association's Gold Performance Achievement Award. Located in Covington, Lakeview Regional Medical Center serves as a regional medical hub for residents of both Covington, and nearby Mandeville. With a fully-staffed emergency room and a 12-bed Intensive Care Unit, Lakeview doctors and nurses work around the clock to serve Northshore residents. This Hammond-based hospital serves the needs of both Greater New Orleans and nearby Baton Rouge residents. Facilities include an acute-care hospital, a rehabilitation hospital, two outpatient diagnostic and treatment centers, a surgery center, and a growing network of physicians and healthcare professionals. Part of the statewide Ochsner Health System, Ochsner Medical Center is the region's largest hospital. It boasts nationally ranked programs in cardiology, gastroenterology, and endocrinology. Ochsner also operates a large satellite campus in Kenner, and at Ochsner Baptist in New Orleans, as well as numerous health clinics throughout the region. For more than 50 years, Slidell Memorial Hospital has served St. Tammany Parish. The 191-bed acute care community hospital offers access to cutting edge equipment and techniques in the treatment of cancer, hypothermia, and orthopedics. A brand new, 113,000 square foot facility, St. Bernard Parish Hospital supports 40 patient beds and an Intensive Care Unit. A 60,000 square foot medical building is also under construction adjacent to the hospital, which will make the St. Bernard Parish Hospital Campus the core provider of medical services to St. Bernard Parish. In its 160 years of existence, Touro Infirmary has treated more than a million people. The 260-bed facility is known for its obstetrics and gynecological programs, with more than 3,000 babies born at the hospital in 2012. A designated Level I Trauma Center, and one of the region's two teaching hospitals, University Hospital has 575 beds, and is a regional destination for treatment and surgery. As part of the Medical Center of Louisiana at New Orleans, the hospital is the core of the burgeoning BioDistrict near the Central Business District. The largest hospital on the West Bank of the Mississippi, West Jefferson Hospital was founded in 1956 and offers more than 400 beds. West Jefferson has been awarded accreditation to the Joints Commission, and has received a Blue Center Distinction for quality. Many neighborhood clinics are in place to serve the needs of the uninsured. Community organizations have brought together healthcare providers who offer services to those lacking long-term coverage from their employers, such as hospitality and entertainment industry workers. Top-notch assisted living and memory care facilities can be found throughout the city and surrounding suburbs. Uptown, Poydras Home, located in Uptown New Orleans, recently underwent a multi-million dollar renovation and is considered one of the best local facilities in the region. Christwood in Covington offers a luxurious setting on several acres for Northshore families. For those who prefer a more intimate setting for their loved ones, dozens of board & care facilities are available. The New Orleans Council on Aging is a non-profit group with a national affiliate which can assist residents in choosing the right care provider for their family member. Jan 45.0 F° 53.8 F° 62.6 F° 5.0 "
Feb 48.0 F° 57.1 F° 66.2 F° 5.0 "
Mar 54.0 F° 63.3 F° 72.6 F° 4.7 "
Apr 60.6 F° 69.9 F° 79.2 F° 4.5 "
May 68.6 F° 77.4 F° 86.2 F° 4.5 "
Jun 74.0 F° 82.3 F° 90.6 F° 7.5 "
Jul 75.6 F° 83.9 F° 92.2 F° 7.1 "
Aug 75.6 F° 83.9 F° 92.2 F° 6.1 "
Sep 72.0 F° 80.3 F° 88.6 F° 5.5 "
Oct 63.0 F° 71.8 F° 80.6 F° 3.7 "
Nov 54.6 F° 63.6 F° 72.6 F° 4.3 "
Dec 47.6 F° 56.1 F° 64.6 F° 4.7 "
Greater New Orleans has a humid subtropical climate similar to much of the Gulf Coast. The mild climate means you'll find lush trees and green lawns all year round. Winters are pleasant with low precipitation meaning residents can enjoy recreational activities and outdoor festivals even in December. Warm summer weather typically stretches from April to October and is perfect for sunbathing and swimming. Proximity to the Gulf of Mexico means New Orleans sees snowfall only a few times each century. Statistically, Louisiana is one of America's safest states for natural disasters. Outside of hurricane season, which lasts from June 1 through November 30, Greater New Orleans experiences very little severe weather. Due to modern weather tracking, hurricanes are one of the most predictable weather phenomena. This allows for advanced planning and, depending on the storm's size, precautionary measures to be taken. Since 2000, there have been 1,626 FEMA Disaster Declarations in the United States. Only 24 of them, amounting to 1.5%, occurred in Louisiana. In addition, threats of other disruptive weather, including earthquakes, wildfires, tornadoes, snowstorms, and landslides are rare or non-existent in Louisiana. Condos Over 50 Communities Spanish, French, Greek Revival, even Craftsman - Greater New Orleans has it all. Recognizable around the world, the historic French Quarter is largely Spanish-influenced with stucco buildings and beautiful wrought-iron balconies. The nearby Marigny/Bywater neighborhood features shotgun homes and Creole cottages, many restored to their original Caribbean-inspired colors. Upriver you'll find Greek Revival and Victorian homes dating from the 1800's. Even modern architecture now peppers the regional landscape with buildings such as the Louisiana Cancer Research Center and New Orleans BioInnovation Center. Louisiana also boasts a progressive property tax structure. The Homestead Exemption offers a $75,000 credit on primary residences, making owning a home in GNO easier for young families. The variety of lifestyle options for those relocating to the Greater New Orleans region is impressive; this includes a true downtown area in the heart of New Orleans, thriving suburban communities perfect for families, lakefront options, scenic countryside towns, waterway access points, and proximity to the Gulf of Mexico for outdoor adventures. New Orleans is host to hundreds of volunteer opportunities ranging from restoration projects to mentoring opportunities as well as children's arts programming and serving meals to those in need. Religious institutions are heavily involved in volunteer opportunities within the community as are local universities, after school programs, and senior centers.